Sometimes you might need Recurring Payments so that the users who buy your subscription pack doesn't have to forget to pay each time. It will enable an automatic regular payment option and also the user doesn't have to worry about any late fees. 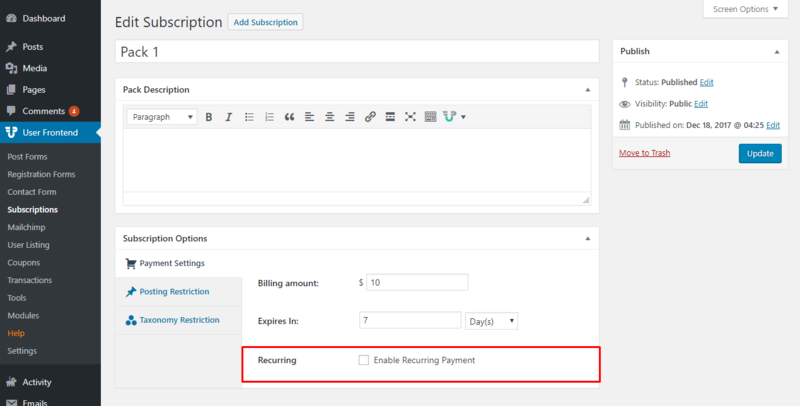 To enable Recurring Payment first you need to create a subscription pack. 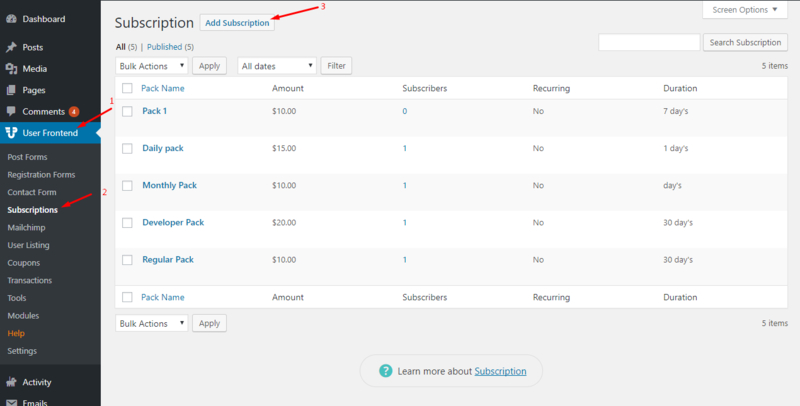 After creating a subscription pack you need to click on it and go to edit subscription page. Scroll down to see the Recurring Payment option. After enabling the Recurring Payment option you will see two categories about how you want to set it up. 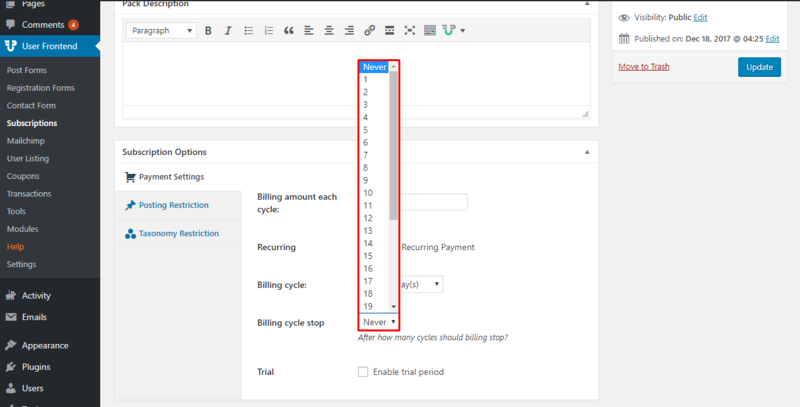 Billing cycle gives you the option to configure after how many days, weeks, months or years you want the payments to recur. You can set the number and select if you want the number to be days, weeks etc. 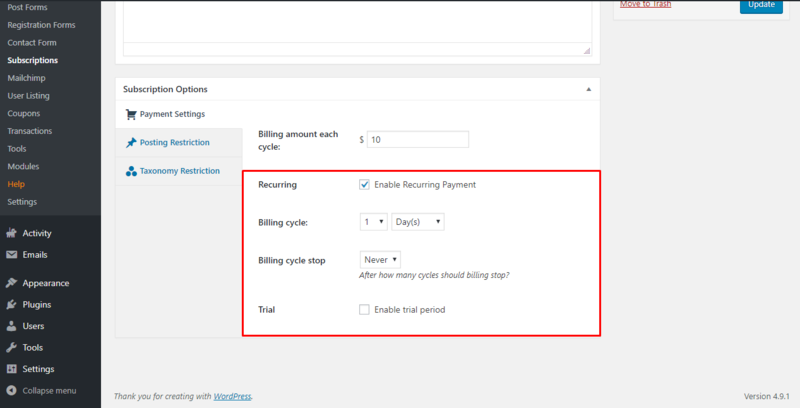 Billing cycle stop gives you the option to chose after how many of your configured billing cycle would you want it to stop. 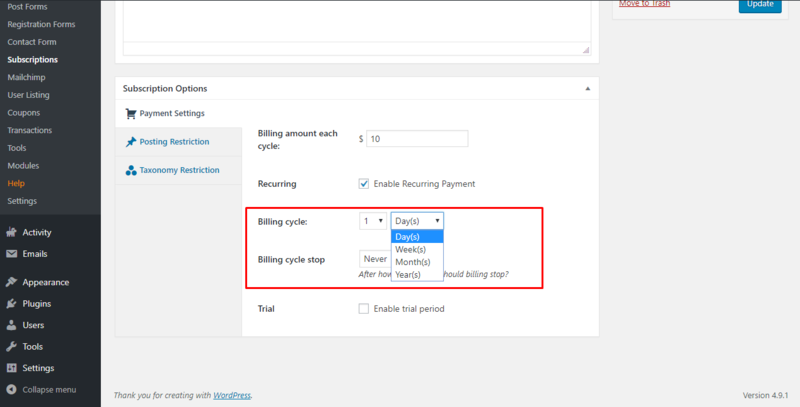 If you choose Billing cycle 1 week and Billing stop cycle 3, recurring payments will stop after 3 weeks.